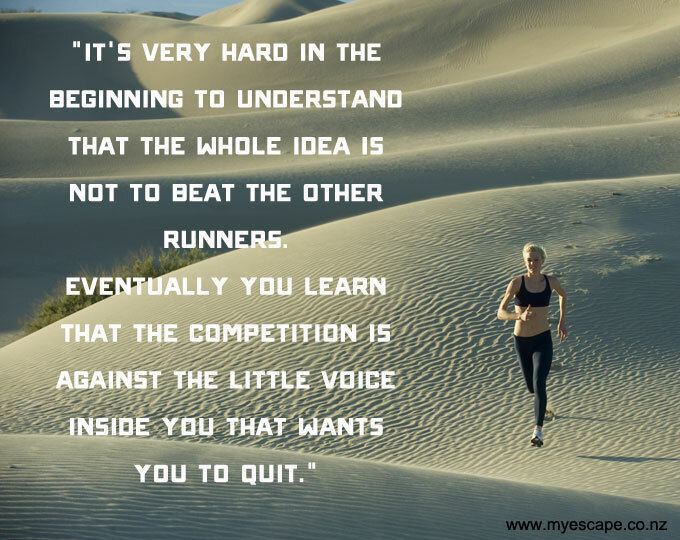 Monday Morning Motivation – who are you competing against? Do you run for fun or are you always aiming for the next PB? Hi! I read some of your blog yesterday – it’s very inspiring. Your improvements this year have been amazing. When I was training for my first marathon, I set PBs at almost every distance… but then I struggled with injury for nine months after the big race and have never got back to the form that I was on. As I’m finding running such a challenge at the moment, triathlons are helping to keep me motivated – I improved my time for a sprint distance by over 21 minutes this year. “At high tide, all ships rise”. A fellow blogger told me that as I was trying to figure out where my improved speed was coming from. Ironman training saw a huge increase in volume (22+ hours/week for a couple of months), but all the training was long and slow. Heart rate rarely went above z2. There was zero speed training. So, some of the improvement was startling! I love the name of your blog since mine could have been “Fat boy to Ironman”. I was an obese couch potato and finally decided to drop 50 lbs. then I got challenged to complete a 5k. Loved it. Started marathon training. Took up cycling to cross train. Had a swimming background (well, 10 years of swimming lessons as a kid), so moved into triathlon. Was captivated by the Ironman mystique and wanted one medal with the word “Ironman” on it so I registered for a 70.3. Once I had that, I knew I wanted one without “70.3” on it. I completed that journey last month. So your journey mirrors my own, and it exciting to see. I doubt that I will ever compete in another 140.6 again…the training is too much and I need more balence in my life. I like the 70.3 distance, but I am burnt out on triathlon training and will only be doing sprints next season. Next year will be a big running year (planning my first ultra, my first back-to-back marathons, and should get up to 15 marathons in 10 states which will let me apply for membership in the 50 marathons in 50 states club). 2016 will likely see me return to the 70.3 distance. Do you know which IM you will be competing in? You are planning for 2018 correct? I am excited to follow you on your journey. Love the blog! BTW, here is my insanely long IM Wisconsin race report. It is great for insomnia! Focuses more on the emotional and physical roler coaster of the day. Crossing the finish line was one of the biggest moments of my life, but it is the training that is life changing. But the actual day is so charged with emotions that it is hard to prepare for. So often, during long cold and lonely training runs, I would try to picture myself crossing the finish line. Sometimes I could picture it. Sometimes I couldn’t. Sometimes I believed in myself. Sometimes I didn’t. The victory is reaching the starting line and believing that you have the right to be there. The rest is a 140.6 mile celebration of your journey. You will be awesome on race day!